Also Known as the "Lil Pal". 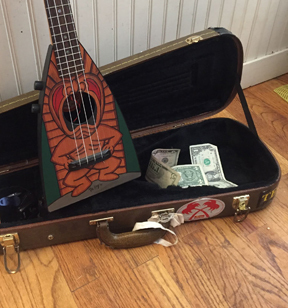 Cowboy themed Ukulele probably made by Regal, circa 1950's. Kenny Roberts was a Musician that had a television show in the midwest. He was known as the "Jumpin' Cowboy" for his on stage antics of Jumping several feet into the air while singing.